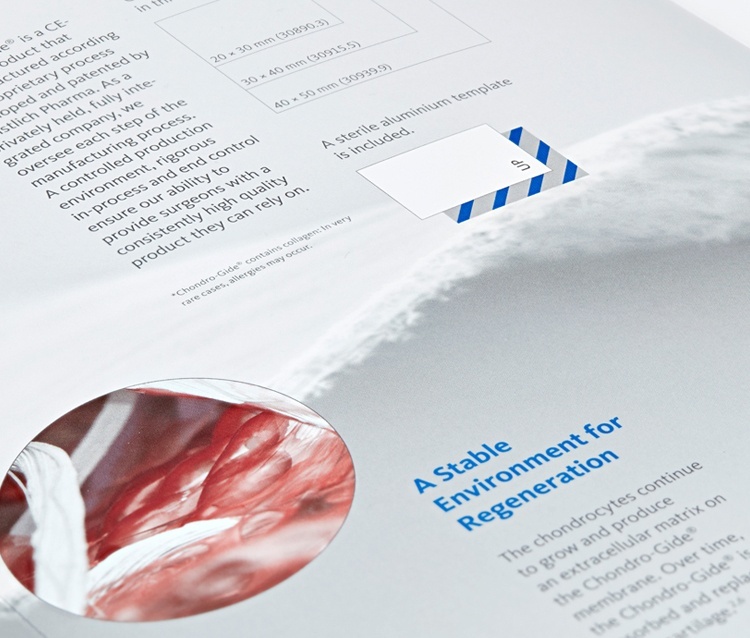 How can we help Geistlich’s salespeople explain to busy surgeons the considerable benefits of the company’s regenerative medical products – and the innovative bio-engineering behind them? 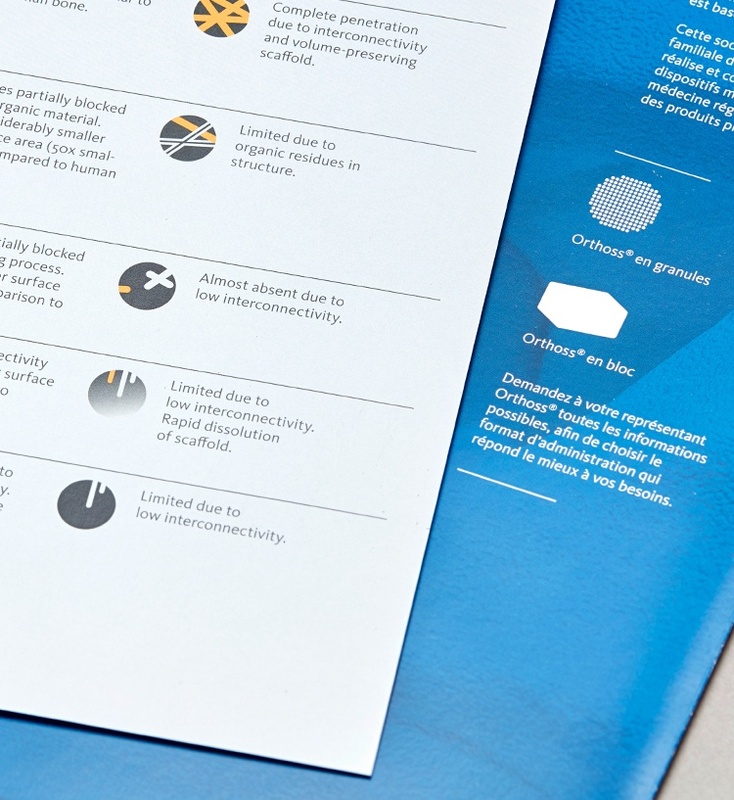 Appear developed key messages and a cross-channel content strategy. 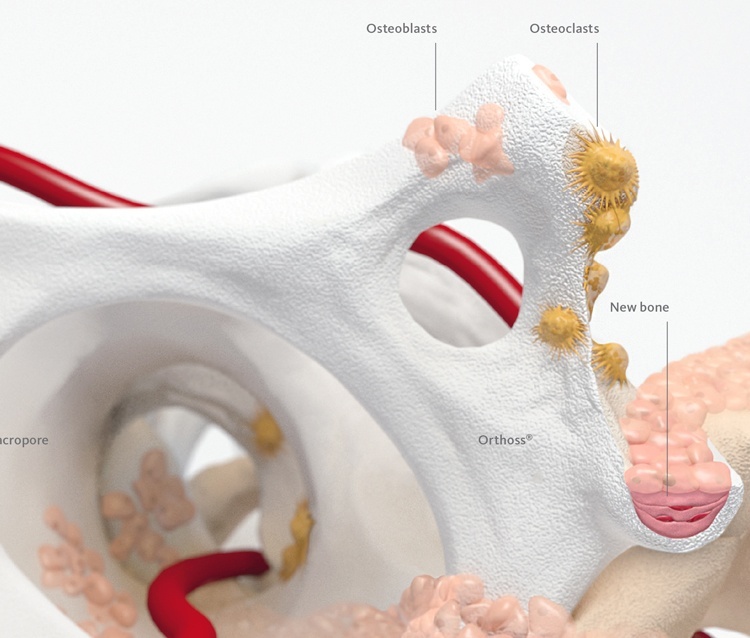 The new product branding uses medical illustrations that show the purity and unique healing properties of these products. 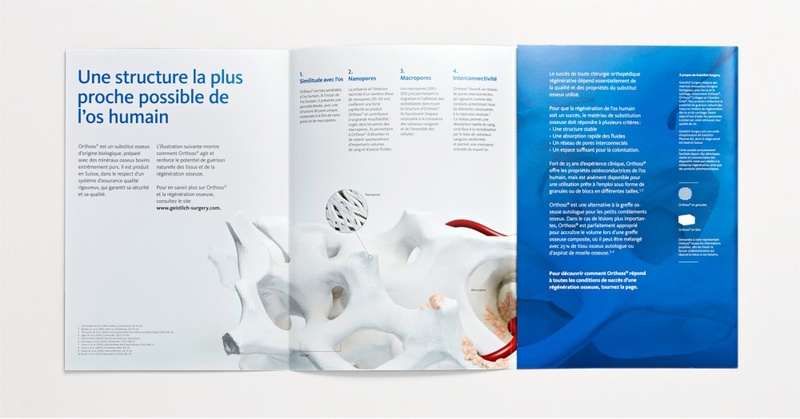 The first brochure, for Geistlich Orthoss®, was so well received by target audiences that Appear was asked to develop material for other Geistlich Surgery products. 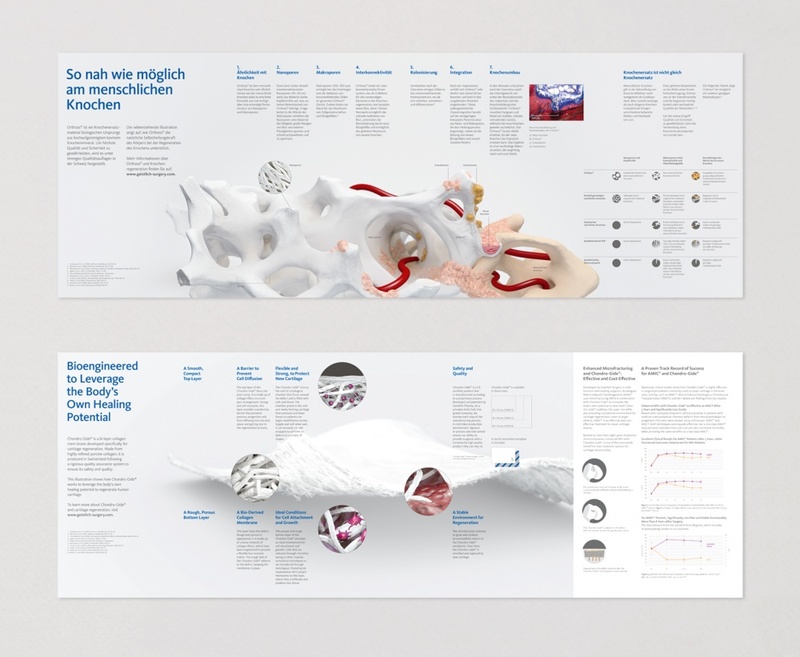 Workshops to define key messages and content strategy; art direction of medical illustrations; concept and development of product brochures, slide packs, infographics and trade fair stands.